Choosing an accountant for your business can be stressful when so much depends on getting it right. An accountant will provide you with informed advice, valuable information and accounting solutions so that you can make better decisions for your business. Here are some ways to ensure you make the right choice when looking for a business accountant. For your accountant to be capable of the job, they need to be correctly qualified. It always pays off to check up on the credentials and experience of your intended accountant. Ensuring that your accountant is properly educated and has experience in the field is the easiest way to guarantee a successful and satisfying experience. There are a few ways to tell whether an accountant makes you feel comfortable and supported in your dealings with them, and this is usually achieved in your first initial contact. Accountants that are reputable, reliable and want to gain your trust will be enthusiastic in their approach and will always be transparent in their interactions with you. To avoid boxing yourself in, look for a business accountant that can offer you more than just the typical accounting services. In particular, be sure that they can cover many different areas with their services. 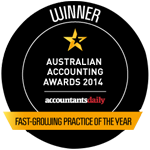 Accountants can be skilled in a number of areas, including tax and self managed super funds. Before contacting an accountant, first identify why you need them and decide whether they’re the right choice for your particular circumstances. As impressive as their qualities should be, it’s also important that an accountant offers competitive fees. Accountants can charge in a number of different ways, but the most important thing to consider in your search is to ask about any hidden fees or additional costs. For expert accounting advice and financial professionals who care about your business, get in touch with the team at Gavin Ma & Co today.